Purse books about our moms from Miss Kindergarten. 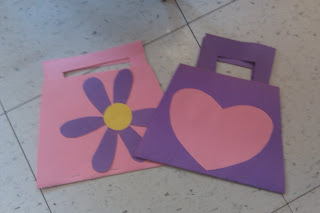 I ended up using a regular sized piece of construction paper, rather than the HUGE piece. I printed the inside pages and shrunk them by 40%. I also didn't use all of the pages because we had limited time to complete the project. 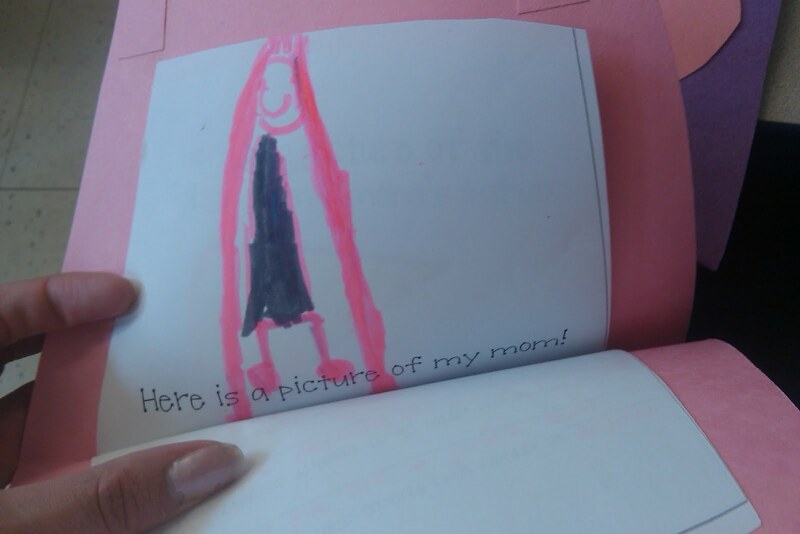 Here is the inside... how cute is this portrait of her mom? 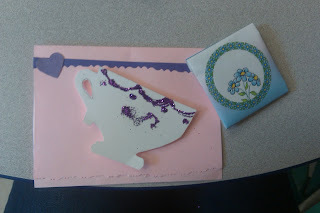 Here is the super cute teacup card that the wonderful Ms. C dreamed up. The kids decorate the teacup and card, and write a sweet message inside. She also glued a small piece of styrofoam (from an old lunch tray) onto the back of the teacup so that it pops out from the card. The blue flowered packet is a bag of tea all wrapped up. 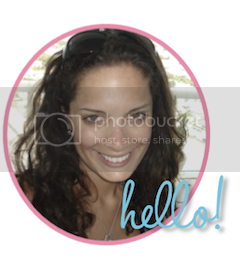 What a sweet gift for a mom!